There were innumerable horrors committed by El Salvador’s right-wing death-squad government during the civil war that raged from 1980 to 1992. Alongside the peasants and workers killed or disappeared and the nuns raped, were the priests who were executed. The most sensational execution of all was the murder of Archbishop of San Salvador Oscar Romero, gunned down while celebrating mass. El Salvador’s ruling Farabundo Marti National Liberation Front (FMLN) warned the US Embassy in San Salvador on February 27 to stop supporting the country’s right-wing Nationalist Republican Alliance (ARENA) party. FMLN leaders accused the US of meddling in the country’s affairs by supporting ARENA youth working to destabilise the government. Workers in El Salvador won a big rise in the minimum wage on January 1 — in some cases doubling their pay. But before they had time to celebrate, the multinational companies who thrive on the country’s still-low wages counterattacked with mass layoffs, judicial manoeuvres and a bid to undermine the eight-hour day. FMLN congress, November 6. Photo: FMLN. 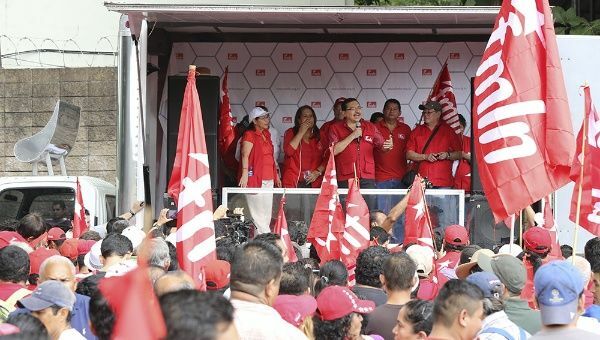 El Salvador's governing left-wing Farabundo Marti National Liberation Front (FMLN) concluded its first national congress on November 8 with plans to advance its struggles against inequality, exclusion and neoliberalism. 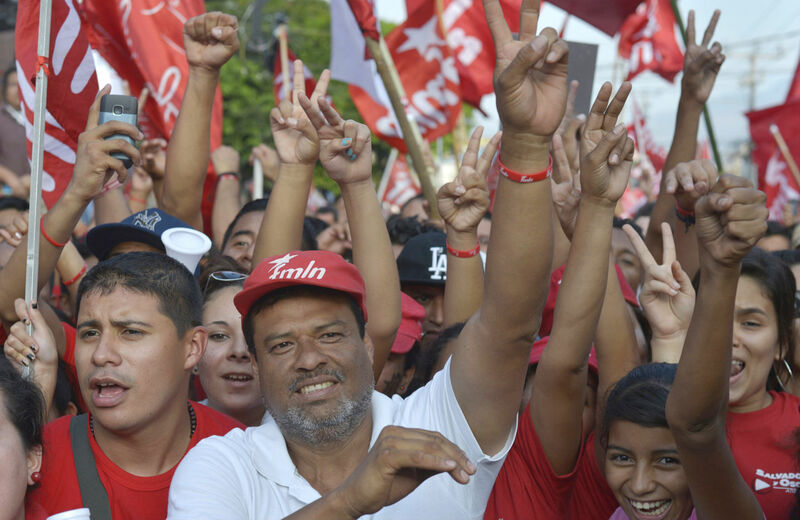 FMLN supporters celebrate election victory. March, 2014. Thirty-five years after its founding, El Salvador's historic Farabundo Marti National Liberation Front (FMLN) is set to hold its first national congress at the end of October.